Is your home’s plumbing system clogged, and you don’t know what to do? We offer plumbing services to keep your water flowing smoothly. Call us today to speak with one of our plumbing experts and hear what we can do for you. No job is too big or small for us. We’re ready to help. 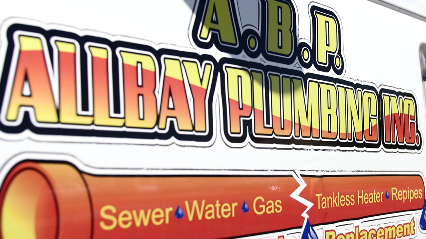 ABP All Bay Plumbing’s goal is to provide the highest level of service. We are a full service plumbing company family owned and operated. We have over 15 years of experience, and always provide free written estimate before every job. During this time, we have built a good reputable company and have been named “The Top Plumber of the Year“. We are hardworking, and believe our work is our name. We strive everyday to do the best job possible to keep our customers for life, so that they tell their friends, family and neighbors about the great work we do. With ABP All Bay Plumbing, you're assured confidence and peace of mind that the job will be done right the first time and at the right price. We are licensed and bonded. We service from single family residences, duplexes, apartments, condo complexes to restaurants and commercial businesses. Custom Showers and much more..
WE’RE READY TO START FIXING ALL YOUR PLUMBING NEEDS!! PROUDLY SERVING MODESTO AND THE SURROUNDING AREAS FOR ALL THEIR PLUMBING NEEDS!